Examination and treatment of common conditions of the Eyes, Ears and Nose. The surface of the eye (cornea) should be clear. The middle of the eye (pupil) should respond to light. You can shine a light into your pets eyes and see the pupil constrict. The right and left pupils should be equal size. The lens, which sits behind the pupil, should be clear. If it appears cloudy, then your pet may be developing cataracts. This may be normal for an aging pet, or may be a sign of disease, such as diabetes. The area around the eye, the white tissue, is called the sclera. It should be a clear white color. In cases of liver disease it will become yellow (jaundiced). The pink tissue around the eye is called the conjuctiva; it is normally a light pink color. In infections it becomes a darker pink and the eyes will produce a white or greenish discharge. There are a number of home remedies to treat conjunctivitis. The Eyelids should be free of any lumps or bumps; older pets commonly develop benign eyelid tumors, which may need removal by your veterinarian. There should be no discharge from your pets eyes; excessive tearing may indicate a blocked tear duct. Your pet should not be shaking their head; if they do there may be an ear infection. The outside of the ear (pinna) should be a light pink and palpate as being flat. Any thickening could indicate an ear infection, allergy or a blood blister in the ear ( aural hematoma). The inside of the ear (ear canal) should be easy to see and free of discharge. A small amount of light yellow discharge is probably normal wax. Any foul smelling odor indicates an infection. A yellowy discharge often indicates a yeast infection. Hard black debris in your cats ears likely indicates ear mites. If debris an odour are present, then clean your pets ears. A safe home remedy involves a 50:50 mixture of vinegar and water. Drop the mixture in the ear canal, rub the base of the ear well to loosen up the debris, then wipe out the excess by placing a cotton ball as deep as you can into the ear canal. Repeat the cleaning until the debris appears removed from the ear .One home remedy involves garlic soaked in olive oil for 12 hours. Remove the garlic clove and apply 5-6 drops into the ear twice daily for 7-10 days. As ear infections are often a result of an allergic reaction, products that modulate your pet’s immune system will help. Check for any signs of discharge from the right or left nostril. The occasional clear discharge is normal for some pets, but ongoing discharge indicates a problem, such as an allergy. 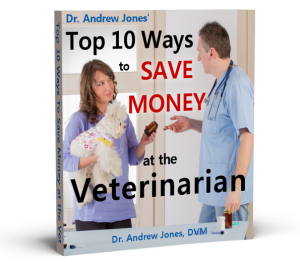 Your pet may benefit from a hypoallergenic diet, which can be bought commercially. Mix all ingredients together and divide into equal portions, feeding 2 1/2 cups in the morning and 2 1/2 cups in the evening. Mix all ingredients so they are well blended together. This will make 2 cups of food, enough for 2 days. Feed 1/2 cup in the morning and 1/2 cup in the evening. Whatever food you choose, it must be fed for 12 weeks. If after 12 weeks your pet it still scratching, then she probably doesn’t have a food allergy. Any purulent (thick, whitish) discharge is abnormal and indicates a bacterial infection in the nasal cavity or sinuses. Feel that air is flowing through both nostrils by placing a hair in front of each nostril. An abnormal growth in the nose can block airflow into the nostril. The nose may appear dry or wet; a wet nose means that the glands in the nose are producing more fluid. This is not a sign of disease. The nose and end of the muzzle should be black or light pink. If it becomes inflamed and red, then your pet may have a condition called Collie Nose. This is a localized type of immune problem in which the immune system attacks the end of the nose. Two simple home remedies involve removing plastic dishes if they are being used for feeding and applying a very safe topical herb, Aloe Vera.